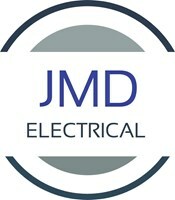 JMD Electrical - Electrician based in Rustington, West Sussex. JMD Electrical are a fully insured and NIC approved company, apprenticeship served with over 12years’ experience. We cover all aspects of electrical work with no job to large or too small. Priding ourselves on offering a reliable, friendly and hassle free service we ensure to deliver a speedy cost effective solution to all your problems at the highest standard. Based in Rustington we cover the whole of Sussex and are happy to travel further if required. Free no obligation quotes offered and all work guaranteed.